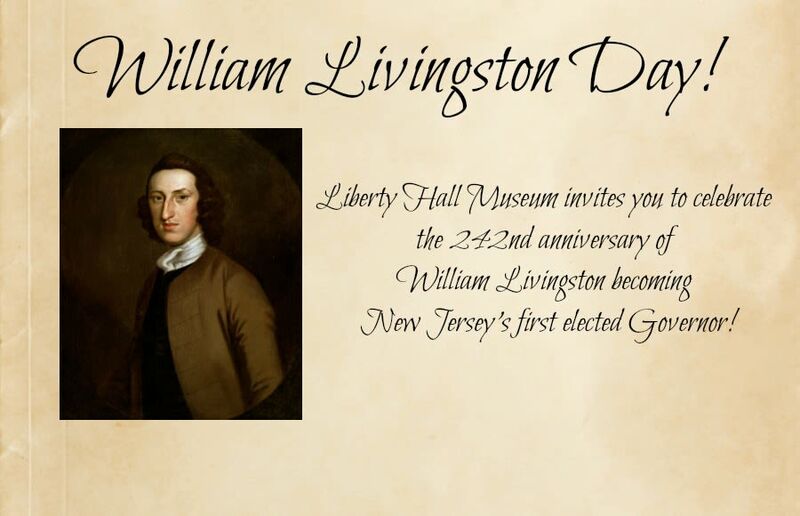 Liberty Hall Museum invites you to celebrate the 243rd anniversary of William Livingston becoming New Jersey's first elected Governor! Join us on the beautiful grounds of Liberty Hall while we celebrate – colonial style! Learn about William Livingston and experience signing your name with a quill pen, play colonial games, make crafts, and much more. Light refreshments will be served.